Yakult Australia – Every body. Every day. Everybody's daily drink for digestive balance. Keep your insides happy. Based in Dandenong, Victoria, Yakult produces the highest quality probiotics, Yakult Original and Yakult LIGHT. We continue to educate Australians about the benefits of probiotics. 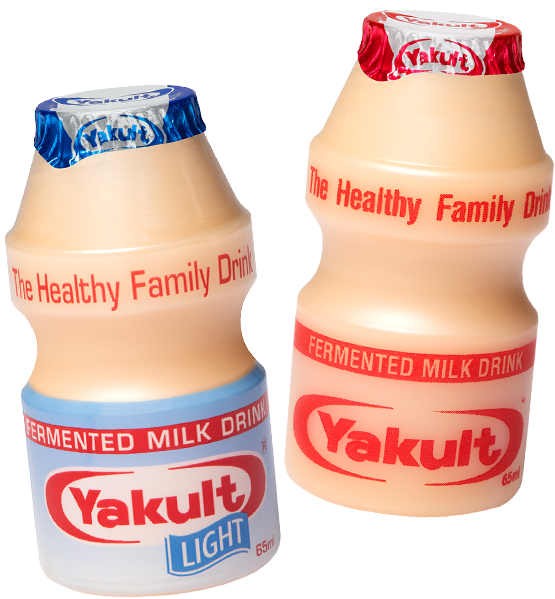 Yakult is a fermented milk drink that contains a very high concentration of the unique bacterium Lactobacillus casei Shirota strain. Educational resources specifically developed for Healthcare Professionals, Researchers and Academics. Have a question about Yakult? Find answers to our most commonly asked questions here. Get all the latest Yakult related news. Know what's happening in our factory and information on Yakult and probiotics. Want to learn more about Yakult? 'Every Body' is welcome for a free guided factory tour of Yakult's modern manufacturing facility. If you can't come to us, we'll go to you! We offer free incursion services as well, contact us for more information.